Miriam from Toronto stayed with us to volunteer for a week. 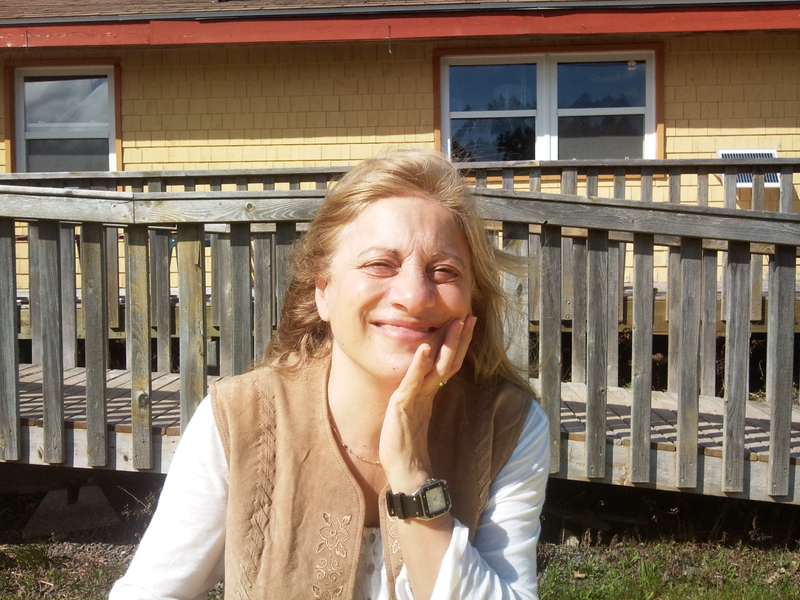 “I live in Mississauga, at the western border of Toronto and I belong to Mississauga Shambhala centre there. I try to take a week off every year when my mom comes and can take care of my daughter. Last year I went to Colorado to see what to volunteer for Shambhala would be and I really enjoyed a lot the experience. So this year, I applied to Karme Choling and Dorje Denma Ling. I was accepted here. Volunteering is giving me the time to serve others, to be more aware of what I do, what I am and to discover myself a little bit more. Im going through a very difficult situation. My daughter’s lost her best friend – she killed herself at 15 and I haven’t been able to help her enough. Before coming here I did a weekend retreat on leadership and that together with my week at Dorje Denma Ling – meditation and the readings that i did, a class on basic goodness and the interaction I had with people here that have given me more space, more openness in dealing with my everyday struggles in order to help my daughter. And Im sure I need to work a lot, but at least it had a glimpse of that openness. It’s very important for me. Im planning to come back in summer with my daughter if possible. I hope it will help her to do her healing because she is going through a grieving process and as a teenager it is very hard for her. She is groundless so I think coming here will help both of us. Even to improve our connection. It’s easier to make a connection here than in Colorado where you have a hundred people. People here are very special. They were more open to listen. Or maybe I was more truthful to my listening then I have been in the past so I could sit with people at dinner or lunch without preconceived ideas, without even trying to, without even thinking about anything. I learn so much from all people I spoke with.